Experience handcrafted wines and local beer with your Valentine! 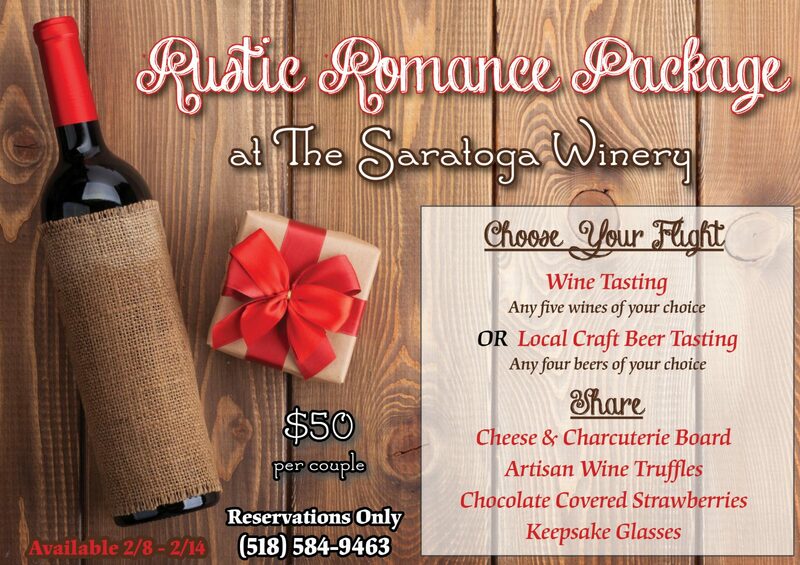 Our Rustic Romance package is the perfect date. A cheese, meat and chocolate board to share. Rustic Romance Packages available starting Friday, February 8th until February 14th. 11am-7pm only.